Today: it poured with rain and I missed Mayapur. I was at work today, entering in books on Amazon.com, when I suddenly felt so much separation from the deities in Mayapur. Being able to have their darshan every day for almost a month was one of the most special things about being my whole trip. To see the altar every morning was really to see the spiritual world. Of course, some mornings I didn’t. Some mornings I saw the crowds of people, or the fans that hadn’t been turned on yet. Or sometimes my mind was more focused on my mosquito bites than on really seeing Krishna on the altar. But some mornings – the curtains would pull back and the breath would literally be sucked from my chest. I know people write that kind of thing a lot as a way of describing a certain intensity of emotion – but I really mean it. 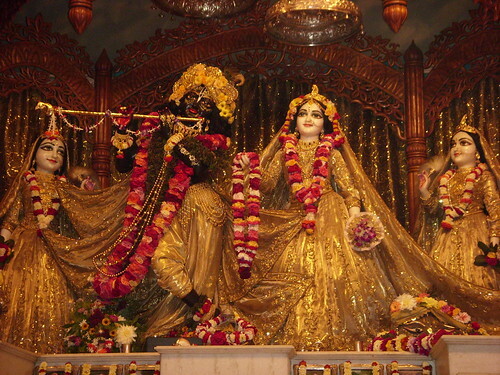 I felt so stupid sometimes – for ever having thought that the deity was anything less than Krishna, personally present. To see the altar lit up in the dark early morning, was to have every doubt removed. Perhaps it was the special mercy of being in such spiritually potent surroundings, that some days I could spend hours in the temple room, absorbed in the beauty of the forms of the Lord and his associates. I know at here at home, it often takes all my concentration to stay in front of the altar for fifteen minutes without starting to compose to do lists or potential blogs. Ha. I remember one day in particular – one of my last in Mayapur. That day Sri Madhava was dressed in a deep orange dhoti. A long, thick forest green garland of tulasi leaves hung down to his knees, and his forehead was decorated with brilliant yellow sandalwood paste. At the back of the temple room, the afternoon kirtan group played sweetly, the holy name adorned with the beautiful sounds of a bamboo flute. I pray those moments remain deeply embedded within my mind, and that I can gain the intelligence and understanding to truly relish them. So – back to my desk – I logged onto the Mayapur webcam, where it just happened to be time for the evening arati. At once I was back in that temple room, as the English rain pounded down on the windows around me. Ah, the internet. It makes travelling yogis of us all. P.S. Below is a sample of the kind of the daily afternoon kirtans in the temple room, kindly recorded by a devotee from Dallas during the festival time. On the far right is Prabhu Gouranga, a wonderful devotee and incredible flute player, who I had the pleasure of getting to know a little bit while I was there. He is a senior disciple of Pandit Hariprasad Chaurasia, but now lives full time in Mayapur. It is always inspiring for me to meet other musicians, but no more so than when they are so devoted to Krishna as well. He plays flute in the temple room for Radha Madhava in numerous shifts throughout the day, and it is truly enchanting to hear. 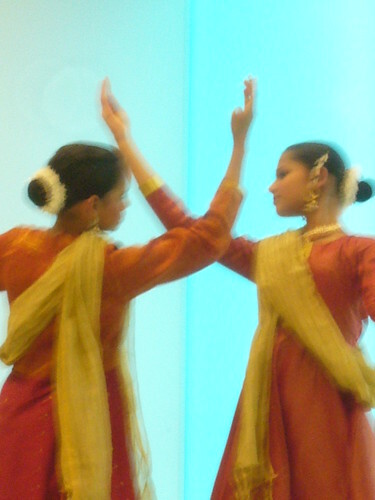 Yesterday I performed with the youth dance group I’m a part of – Yuva Culture. We were taking part in the Annual ISTD Congress, held this year at the Laban Centre in South East London. ISTD is the Imperial Society for Teachers of Dance, one of the three main dance examination boards in the world. 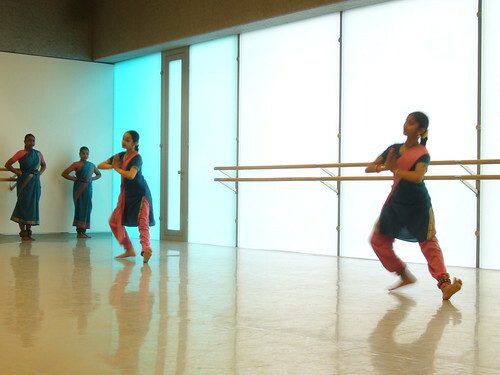 A few years ago, several senior Bharatanatyam and Kathak dancers, based in the UK, decided to create a syllabus for South Asian dance, following the course of six graded exams, and vocational exams afterwards. 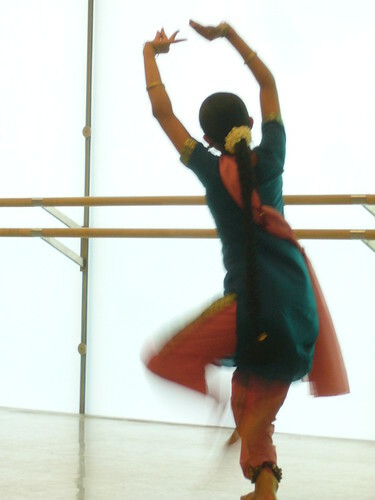 This has been quite unique in the world of Indian dance, as I don’t think there was previously much in the way of standardised examining. Anyway it was a nice experience yesterday. 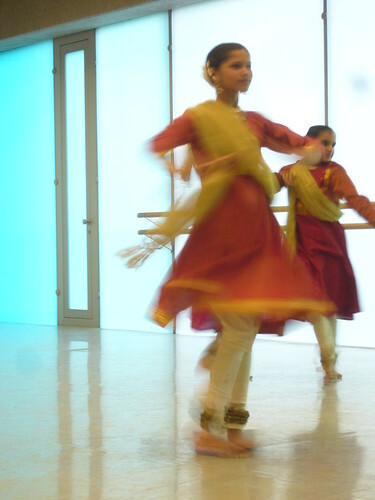 Tulasi and I recently took our Grade 6 Bharatanatyam exam and it was really interesting to see the equivalent level of the Kathak performers, as well as the performers of other grade levels and styles. Other teachers and performers were there also and there was a nice mood of sharing and celebrating the hard work that gets put in throughout the year. 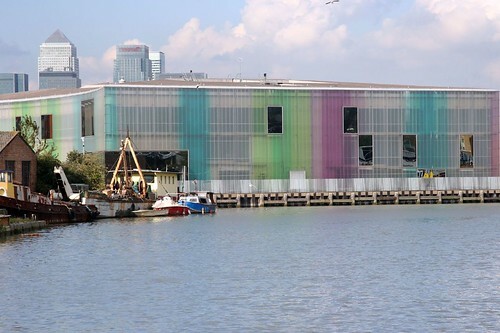 It was especially nice to be doing it at the Laban centre, which has been purpose built for dance training and performance. 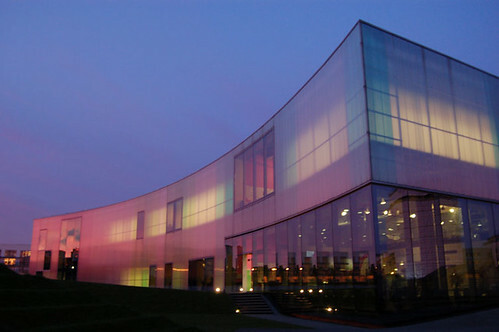 All the dance studios have coloured, translucent windows that are opaque in the daylight, but as night falls, glow and illuminate the building with the light from inside. We were performing a piece called ‘6 ounces’. The title refers to the supposed weight of the soul and is supposed to be based on themes of life and death, but it is mostly abstract dance. It’s really fast and extremely challenging and I’m always very nervous before we perform it. It’s one of those dances that you have to be constantly fit to do – starting to practice a week before won’t help much – so I was in a bit of a dilemma with all my university work. Anyway, it went ok – not great, but alright. Just before we performed, some senior Kathak dancers performed ‘Madhurashtakam’ – the beautiful song by Sri Vallabhacarya that praises the sweet beauty of every aspect of Lord Krishna’s form and pastimes. I was swept away in it, and it really boosted my confidence to perform. I find it’s easy to get rid of nerves if you put the performance in perspective. Thinking of Krishna always does that for me. I try to just realise that in some small way I am doing this for him, and no matter how the performance goes, even if I collapse on stage, his fixed presence and importance in my life will remain unmoved. And from one casting off of the body, to another (how’s this for a link) – Caterpillar update! Firstly, the day after I posted this, look who I found crawling around at the feet of Vrajamohan? Secondly, the mail order caterpillars are all doing extremely well. Fat and sluggish now that they’ve eaten the sweet contents of the jar they came in, they are slowly attaching themselves to the ceiling of their little home and making their cocoons. And now, back to my coursework. Only a few more essays to go and then I’m done for the year. Students have it so easy. Today I found out something which filled me with indescribable joy. 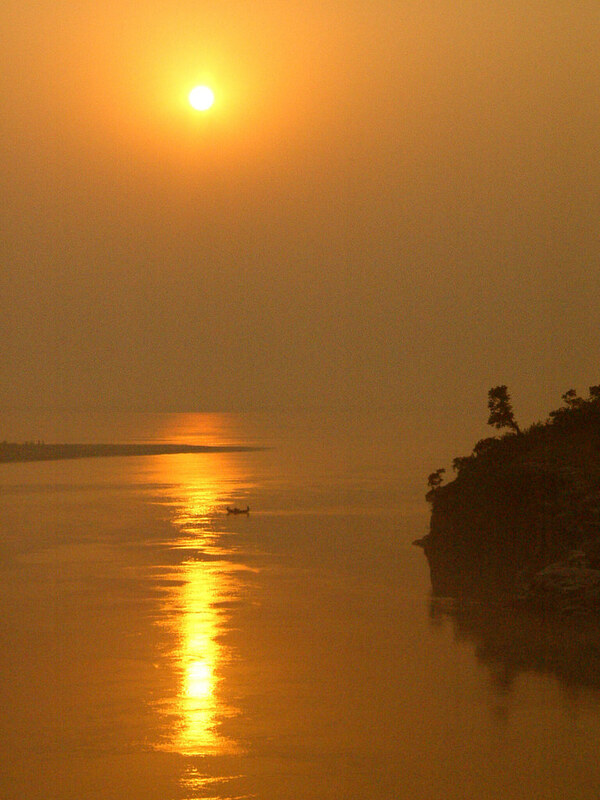 There is a phrase used in Bengali (and apparently also Hindi) to describe the time of the evening when the light is golden and slowly fading – Godhuli Bele. This translates roughly as ‘cow dust time’; that period in which the cows are coming home from the pasture, raising a lot of dust with their hooves, which blends with the hazy light of the evening. I don’t know why this makes me so happy. Maybe it’s just the fact that something so poetic is firmly embedded in everyday language. Also, more importantly, something with so much potential for remembrance of Krishna. Remembering Krishna at every time of day isn’t an easy task. It’s pretty amazing. The single most attractive person in the entire creation is actually difficult to remember the majority of the time. Well, I speak for myself at least. That’s why I feel so happy every time I stumble upon a little thing like this to cling to. Thought processes are so delicate and unpredictable, but finding ways to remember Krishna always, is like pinning your thoughts down. I guess the brain is a muscle – the more you exercise it for thinking of Krishna, the more muscle memory will kick in, and it will become more and more effortless. After coming back from India, my brain having been suitably put through its paces, I always find reminders everywhere I go. I was giving a presentation at university and I saw a bright pink cherry tree outside the window. It was the exact same colour as the bougainvillea growing throughout Vrindavana, and I suddenly found my mind shooting there (very inconvenient when you’re trying to present a project proposal). The same goes for the yellow mustard seed fields nearby – Krishna’s dazzling yellow cloth and the beautiful chandan on his forehead; the spiky round seed pods of the plane trees at my university always remind me of the shape of kadamba flowers, which always hang around the neck of Lord Nityananda; and the acres of green wheat on the walk to the temple draw my mind to Lord Caitanya, remembering the rice paddies around Navadwip. Actually anything can remind you of Krishna – everything comes from him, so you don’t even need six degrees to get back to him. And now every evening, when the sun hits that point, I will remember Krishna as he comes home from the pastures, herding the cows and calling them by name; his beautiful form a festival for the eyes. Hello. 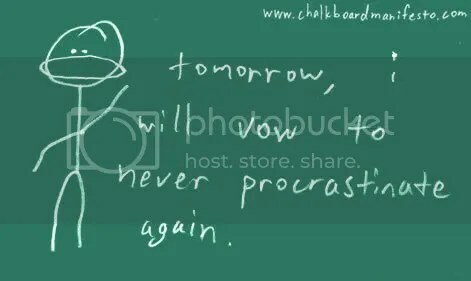 I’m Jahnavi and I am a serial procrastinator. Right now I’m grappling with the giant monster of coursework that I created by ignoring it (until two weeks before the deadline). I have about six separate projects/essays to complete, plus a 20 page screenplay, which I’m working on right now. Well, technically, I’m writing this blog right now but….come on….it’s all an exercise to loosen up my writing before i get back to work. Yeah right. Truth be told I am a serial procrastinator and it’s really a difficult habit to break. Something that’s been helping me to see it even more clearly is the fact that I’ve slowly been increasing the number of rounds I chant every day. Last time I wrote a post about japa – sometime last year, I think I was chanting three a day. Shakily, I’ve somehow made it to ten (not that it hasn’t wobbled while I’ve had all this work). Obviously that requires a greater time commitment than ever before, and it’s been an excellent lesson – recognising that I do often put it off until the last minute possible, then suffering when I have to do it late at night – feeling guilty and tired too. I’ve been gradually succeeding in disciplining myself to really try and get them done in the morning – mostly it’s been working, and I feel it having an effect on other things in my life too. Saying that, it’s a slow process. Old habits die hard, and I am certainly well practised at avoiding the necessary. Ok, my mum just came upstairs and told me I was deviating – she’s right! Oh no! Let me get this over with. Today I taught a dance class for the first time at the temple. My sister Tulasi and I have started a class on Sundays, and there are about fifteen students so far. It was really a pleasure to be starting it off and so nice to have the feeling of passing on something that I have been studying for so long. I really hope that it’s something that continues for a good time to come. 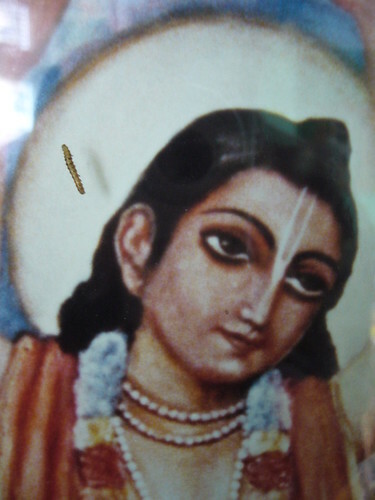 Also, tonight it’s a full moon – Balarama Rasayatra, the night of Lord Balarama’s rasa dance. I think I’ll make sweetrice tonight with Mali. I find it’s one of the most wonderful things to make, if you have the time to. The fact that it needs constant attention, means that its preparation becomes a meditation in itself, as you stand there, stirring and stirring. Afterwards, we put it out in the pot on the roof of my Dad’s garden cabin (so the foxes can’t get it), so Lord Balarama and the gopis can eat it tonight. Ok, I really am wasting time now- back to work – GOODBYE! For some reason I’ve been getting a lot of caterpillar association lately. Maybe I am rekindling some caterpillar related relationships from a past life, or maybe it’s just that time of year. In Mayapur, I saw them everywhere. I thought it was pretty unusual until my friend Jayada Radhika, who lives there, told me that Mayapur has a caterpillar season (along with flood season, hot season and various flower related seasons – oh and my favourite, baby frog season). She said that during that time she can barely walk along the road to her house – it’s literally crawling with them. They’re not the most friendly either. I was minding my own business, chanting a round or something, and I felt a painful chomp on my back. I thought it must’ve been a wasp, until someone cried ‘INCHWORM!’ (the someone must’ve been American). I kept seeing them in Vrindavan too – even hanging from the ceiling once. When I repacked my bag before flying in Delhi, I found a stowaway Brijbasi – one inch long. I decided it might be offensive to forcefully remove a resident of Vrindavan from Bharat Bhumi, so I found a juicy looking leaf and left him there. Unfortunately, I didn’t account for his friends, who I discovered, unpacking my bag back in England. I had dried and packed a maha garland from Vrinda Kund, and they had chewed a hole in the bag and proceeded to make a meal of the garland. My brother Mali leapt at the chance to try and hatch them with his new ‘caterpillar home’ he got for Christmas. After almost two weeks, they’re still alive, and today, they got some friends when Mali’s actual mail order (yes, really) caterpillars arrived. They’re butterflies and I have a feeling the Indian ones are moths – I hope that doesn’t count as different sampradayas in caterpillar world. I have just come home from Vrindavan and Mayapur and I realise now why people wear those ‘I Lost My Heart in Vrindavan’ t-shirts. I always thought they were pretty corny, but I suddenly feel the same way; as if I am incomplete now that I’m back in England. As usual, I regret not trying to blog while I was there. There has been so much that I wanted to write about, but I never feel like wasting time in front of a computer screen when I’m in the dham. It’s one of the only places where my desire to check my emails and be in touch with the internet community abates to an almost non existent level. My trip was both wonderfully inspiring, and equally as frustrating at times. I feel like the increased concentration of Krsna conscious activity and the intensely spiritual atmosphere sometimes made me only more aware of how little devotion I have and how out of control my mind is, even after being removed from the more distracting environment that I have here at home. Sometimes I felt like a fish, swimming upstream, struggling to stay focused on my priorities of gaining spiritual juice and trying to cultivate some good habits to continue in England. 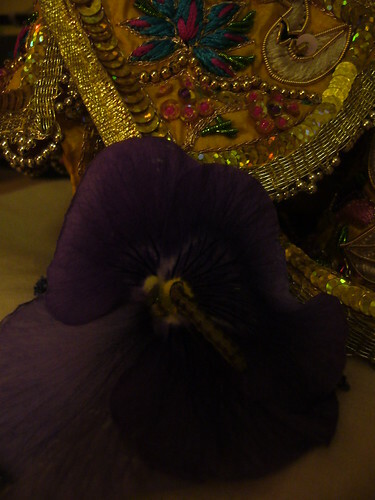 But sometimes there was no struggle, and the stream of Krishna’s mercy simply carried me effortlessly, giving me a tiny taste of what it really means to experience the unique treasures the dham has to offer. I guess I’ll write more about some of the experiences I had in the next weeks. For now, it’s unfortunately back to university and 14,000 words or so to write.